Welcome to Year 2 Class 2018-2019! 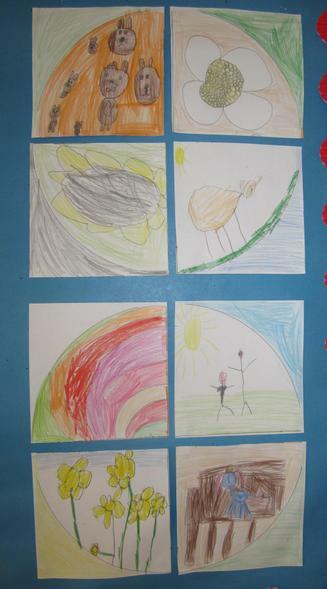 Year 2 have produced these amazing pictures of Jack Frost. We had a fantastic day at Warwick Castle learning about castles and daily life. We really enjoyed our whole school World Cup themed day particularly the ball skills practice and the penalty shoot out! 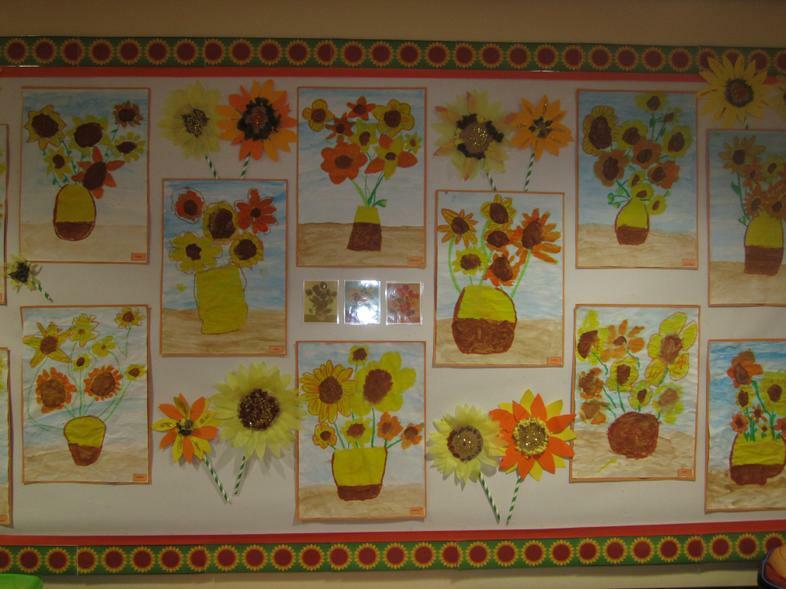 We have been looking at the work of Vincent Van Gogh and in his style we painted these beautifully vibrant sunflowers to create a magnificent display. As part of our whole school display in celebration of The Cross of Nails pilgrimage, we created these decorative crosses using oil pastels and a smudging technique. We have been experimenting with different painting techniques. cocktail sticks to paint trees and flowers creating these Spring like images. 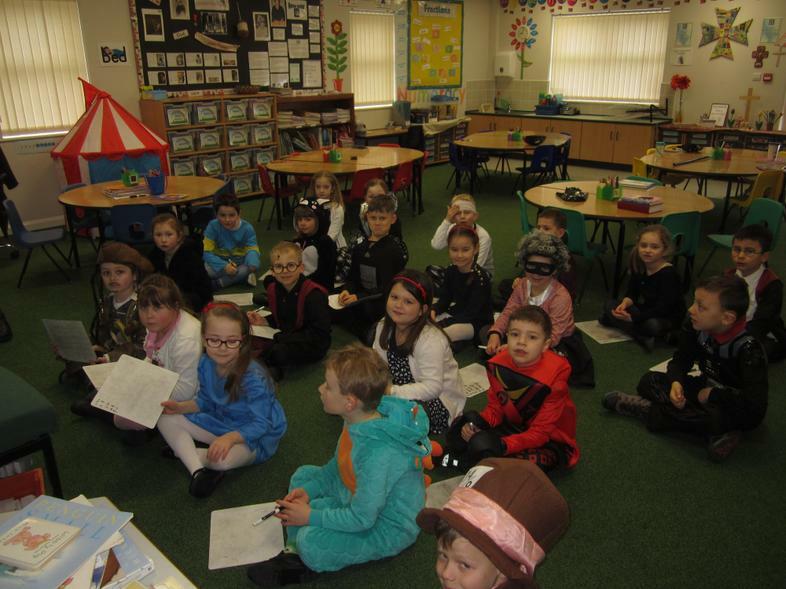 The children really enjoyed dressing up to celebrate World Book Day and they had all thought carefully about a book and choosing their character. 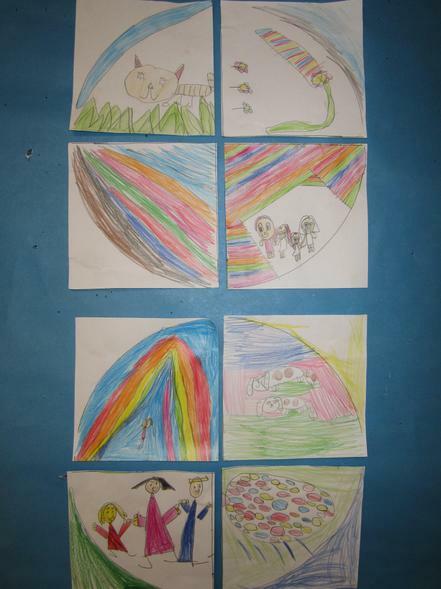 In our RE learning we have been looking at parables. In groups, Year 2 were tasked with presenting a parable to an audience, our Reception class. They were given planning time to decide how to present it, what resources they would need, to split up the tasks between the group, create a script and rehearse. 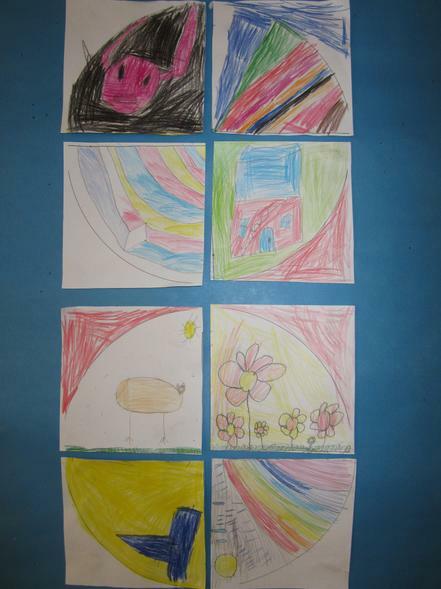 The children worked extremely well with very little adult help. Their posters, plays and prayers were fantastic. The audience really enjoyed watching their presentations of The Good Samaritan, The Prodigal Son or The Lost Sheep. good understanding of the different stories. with Year 2 taking the lead speaking roles. The show told the nativity story with a modern twist through drama, song and dance. The performances were amazing and all our visitors really enjoyed the show especially fans of "Strictly Come Dancing" as the dancing and choreography were judged by the panel comprising Caesar, the Innkeeper's wife and Donkey. much more generous with their scores. Well done to everyone; you were all fantastic and should be very proud of yourselves! inspired by looking at African tribal masks. 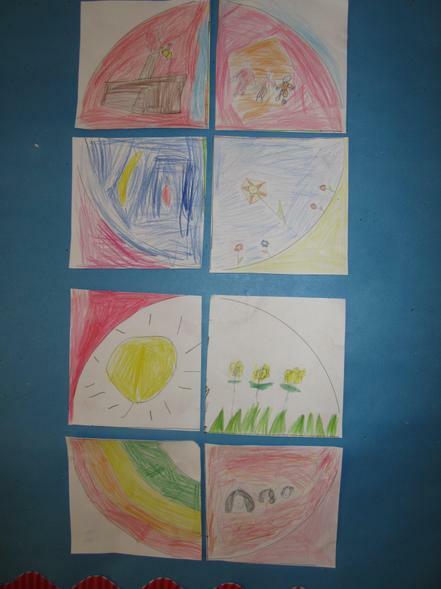 We made our own colourful pictures which were then cut into quarters. 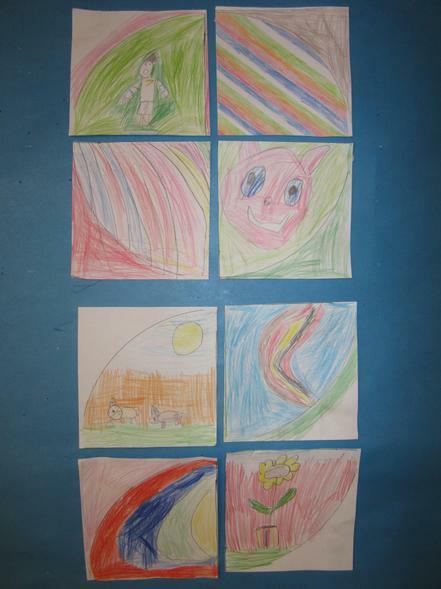 The individual quarter pieces were then re-arranged with others to create a very different picture.